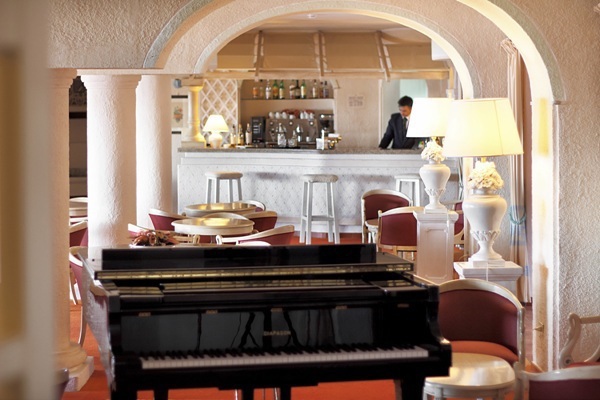 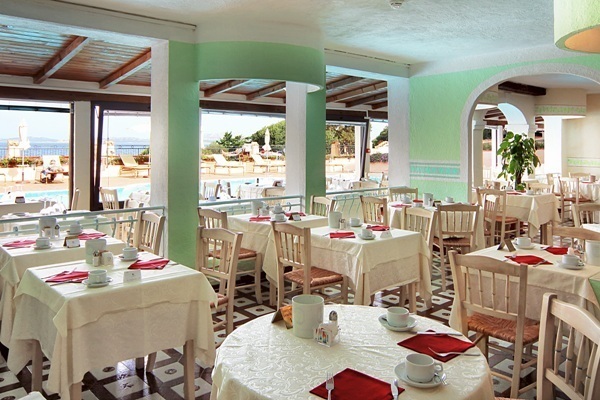 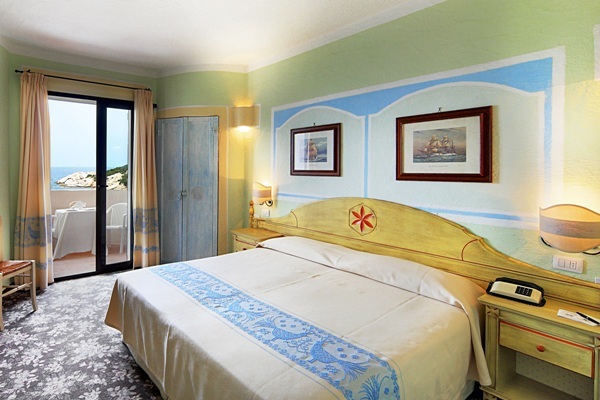 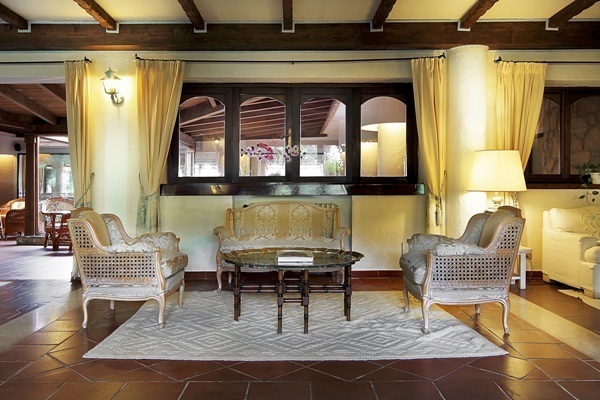 The Grand Hotel Smeraldo Beach is a 4-star hotel with plenty of rustic Sardinian charm. 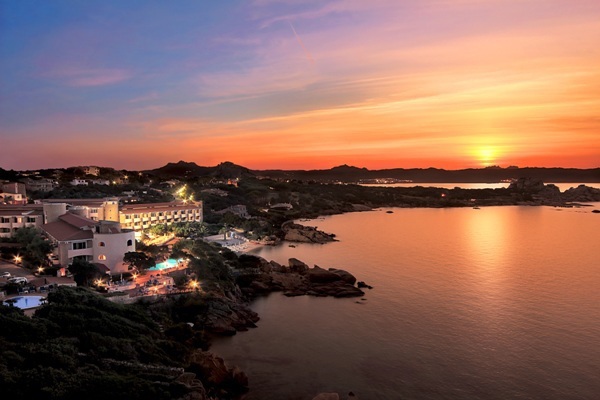 The hotel is built in typical Sardinian fashion and is set directly on a private sandy beach that is blessed with crystal clear waters. 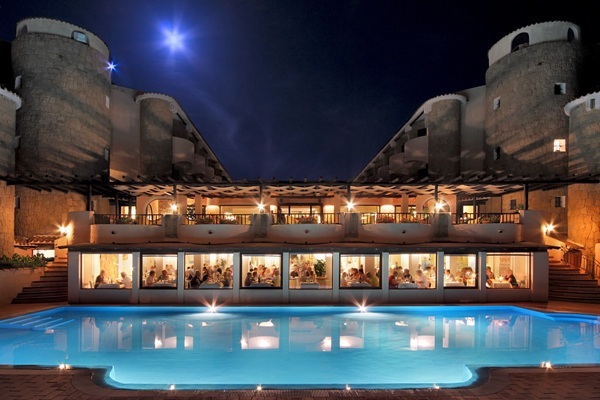 The hotel is perched on an elevated position and gently slopes down to the beach, so magnificent views of the sunset can be enjoyed while sipping cocktails at the Patio bar. 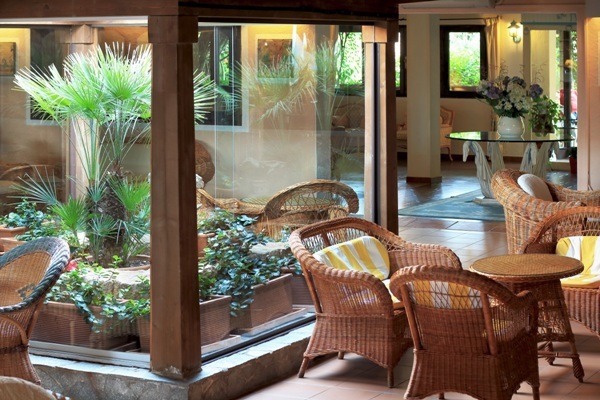 Beautifully kept and lush gardens surround the hotel and help to create a tranquil and calming atmosphere. 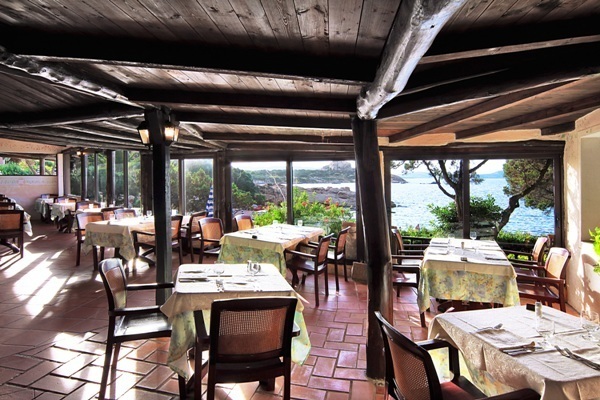 There are two restaurants here serving International cuisine with an emphasis on local specialities. 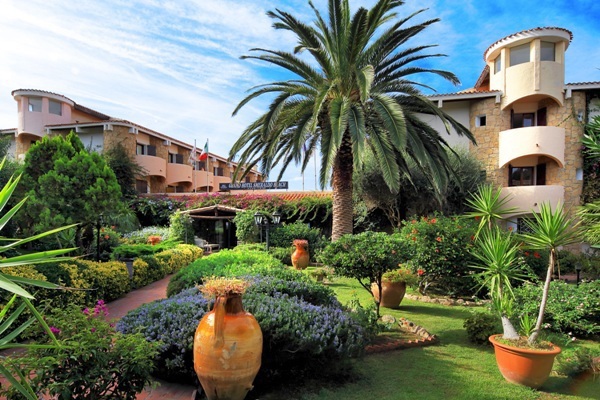 The village of Baja Sardinia is only 200 meters away where you can enjoy all the local shops and traditional restaurants. 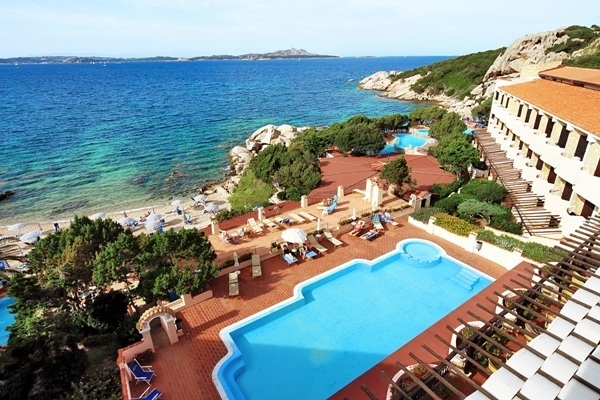 Grand Hotel Smeraldo Beach is an ideal choice of hotel for a relaxed beach holiday that is filled with Sardinian spirit. 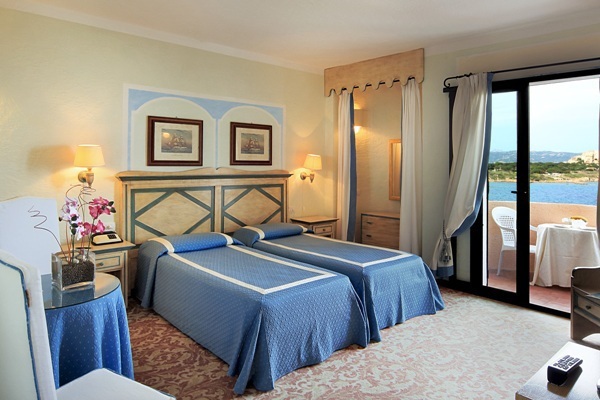 There are 160 elegantly decorated rooms all featuring a private terrace or balcony, air conditioning, satellite TV, mini bar and hair dryer.